Look what Mary Tice sent me today (the picture, not the mug nor that fun drink inside it)! The Well coffee mugs arrived on Mary’s front porch this week, and not only are we happy with their quality, we are ready to sell one to you. 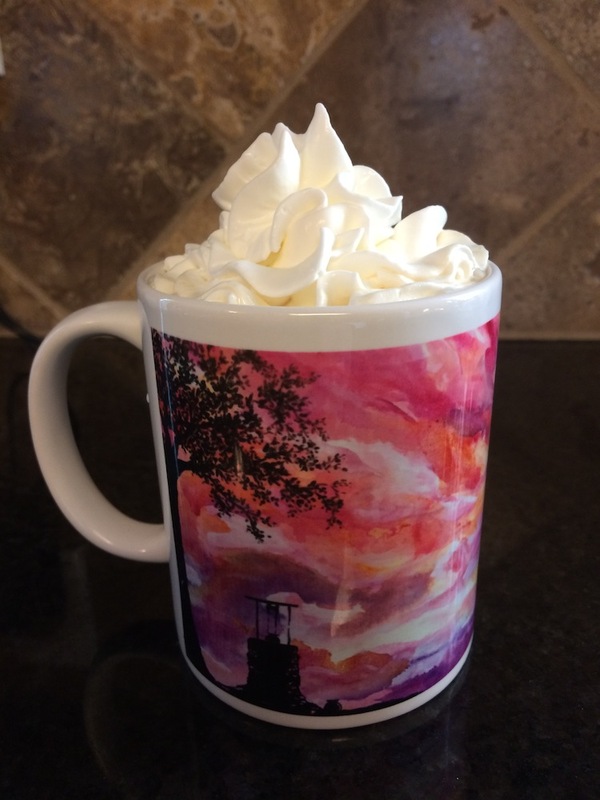 Given we’ve received responses from women who cannot attend Advent at The Well but still want to purchase a mug, we’re open to working on creative delivery options. Our first preference is that you identify someone, either a planning team member or perhaps a friend, who can pick up your mug at Advent at The Well and hand deliver to you after the event. If you don’t know someone who is attending, please email Mary at [email protected] and let’s come up with a delivery solution for you. Mugs cost $18 each. Supplies are limited. For those wanting a mug during Advent at The Well, please pre-order by December 1, and we’ll have one available for you to pick up and use during the event. For those not attending, please indicate so on the order form, and email Mary Tice at [email protected] to discuss alternate delivery options. ** This is a fundraiser. All proceeds go toward the cost of the 2017 Summer at The Well gathering. Download your coffee mug order form here. Finally, a reminder: registrations for Advent at the Well are coming in strong. Thank you; we are delighted! While the event is free, you must RSVP and save your seat. Head over here for registration info. This entry was posted in Advent and tagged Advent at The Well, Blog, Blog, Coffee Mugs. Bookmark the permalink.